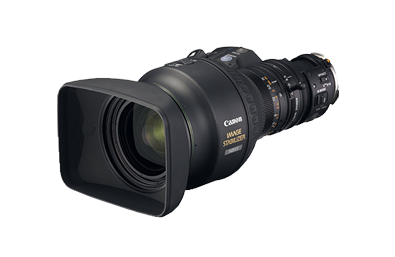 Canon’s HJ15 HD zoom lens is ideally suited for diverse and challenging outdoor shooting situations because it can stabilise a wide range of vibration frequencies. Examples range from the low-frequency vibrations encountered on a camera operator’s shoulder in a jostling crowd situation, to tripod-mounted operation on shaky platforms, to the higher-frequency vibration that cameras are subject to when operated inside TV news helicopters, motor vehicles, motorbikes, and boats. The lens provides four selectable stabilisation modes to allow operators to optimise the degree of correction under diverse, and sometimes unique, shooting conditions.